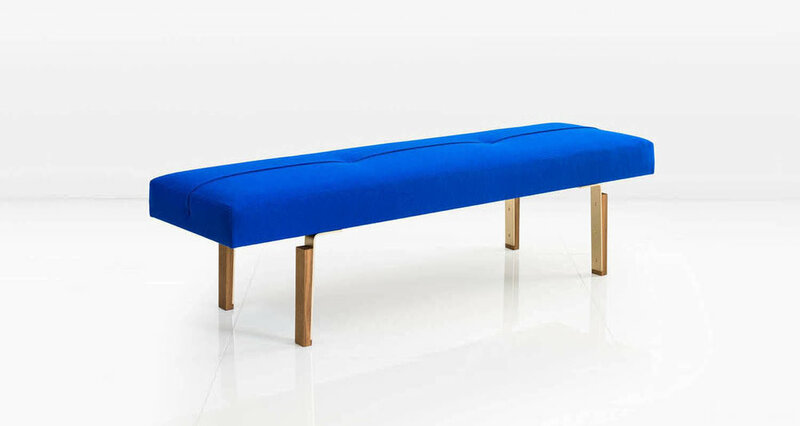 The simple, refined silhouette of the Parisi Bench makes it a perfect entry or footboard piece. Brakeformed, Solid Brass legs are integrated into blocks of Fumed White Oak. And the seat’s buttoned strap detail brings to mind tailor more than upholsterer. 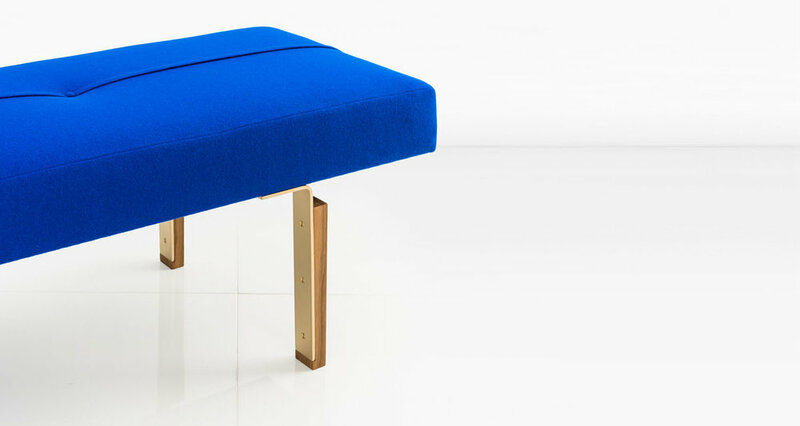 Shown in Cobalt wool fabric. Also available with Nickel or Silicon Bronze base as well as American Black Walnut blocks.